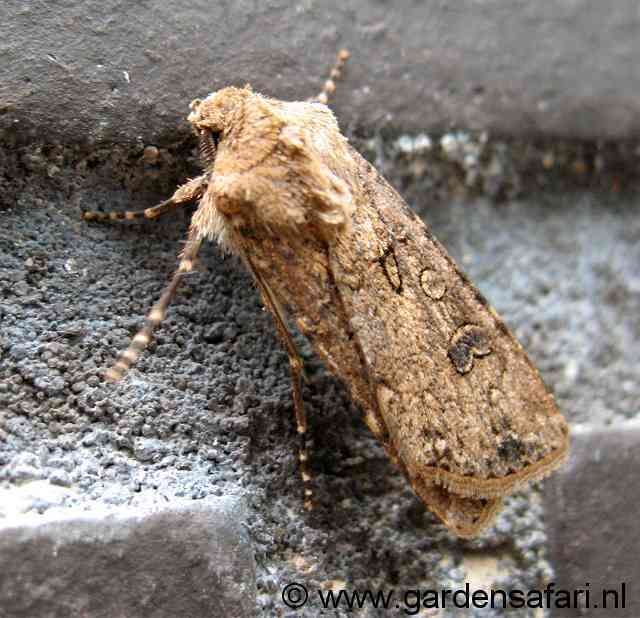 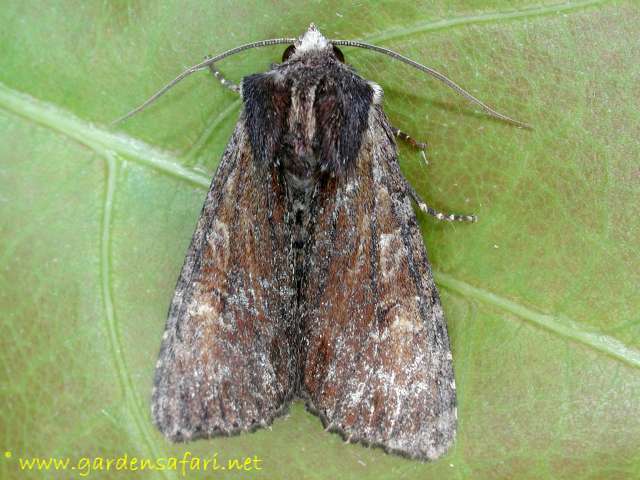 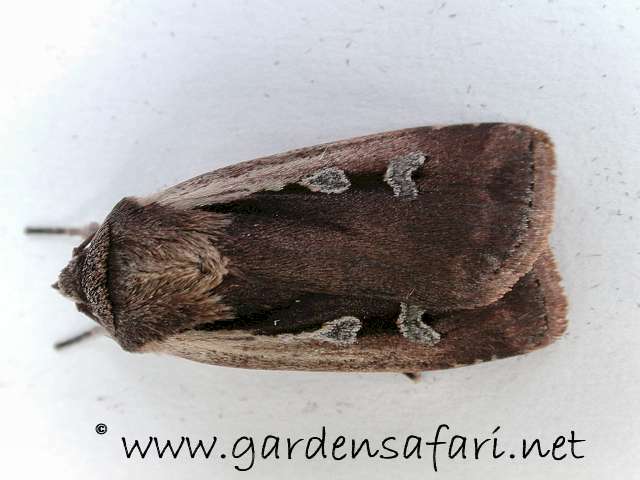 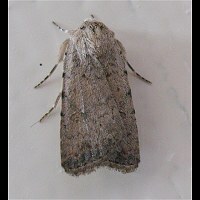 Noctuids in our garden with lots of pictures. 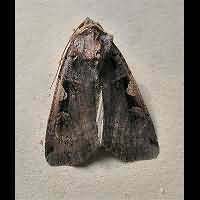 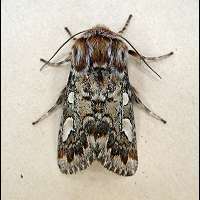 The Noctuids make up a very big family of moths. 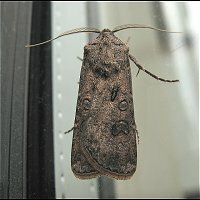 There are over 20,000 species known worldwide. 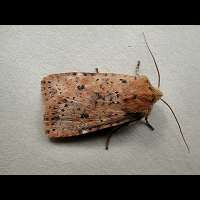 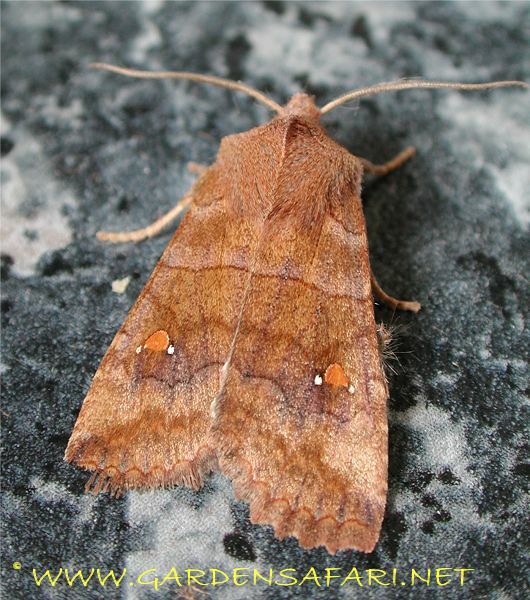 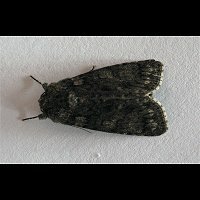 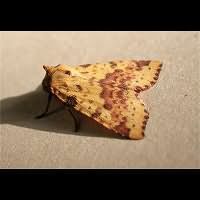 In Britain it is the largest Moth family and represented by over 400 species. 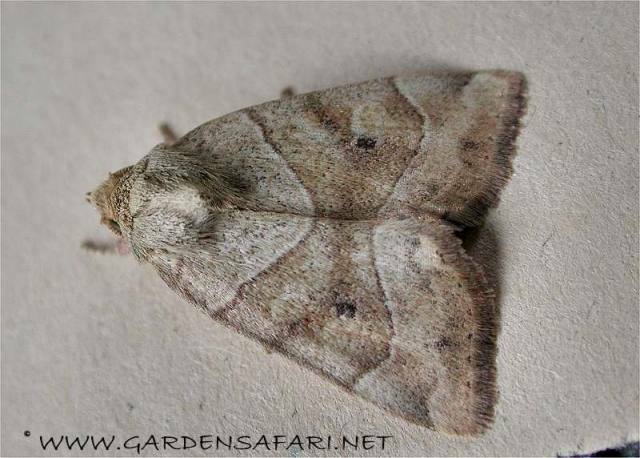 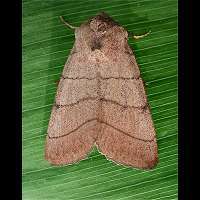 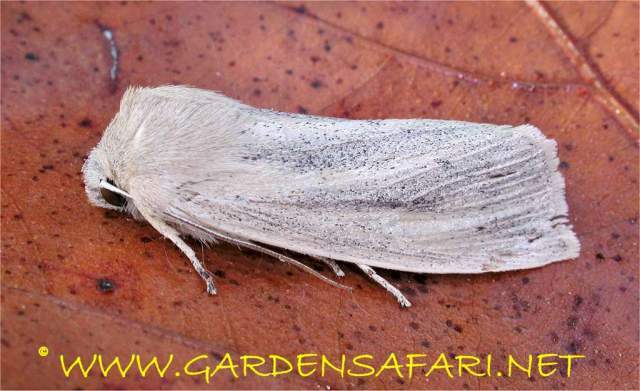 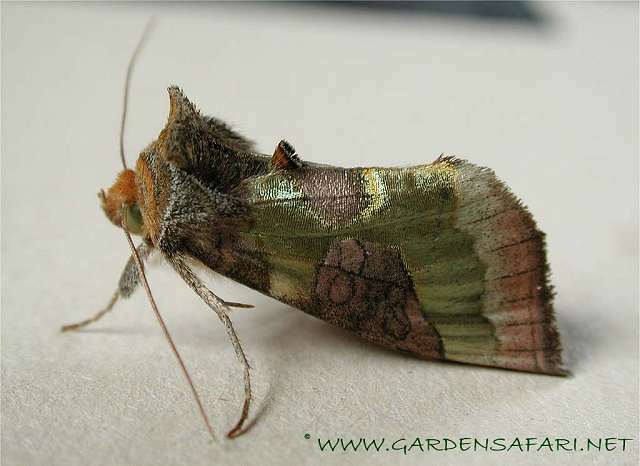 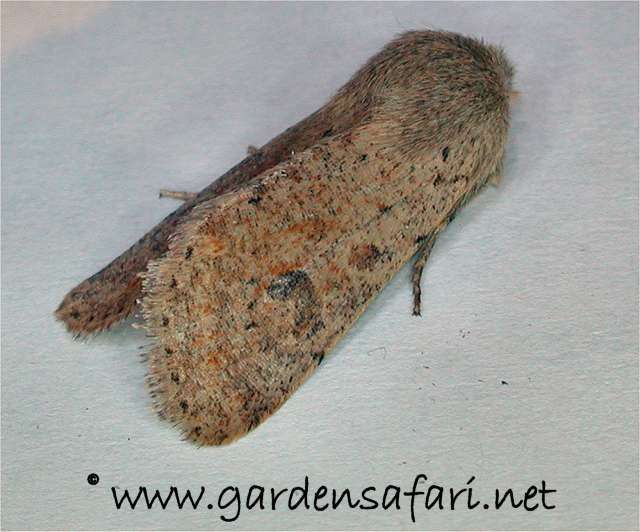 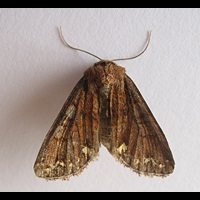 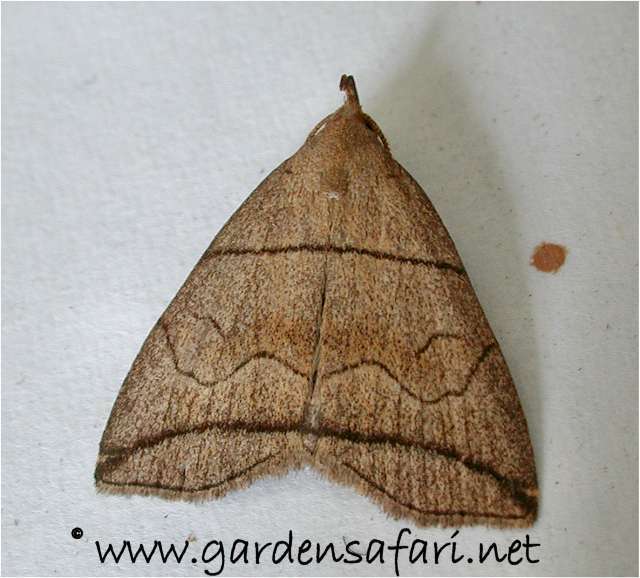 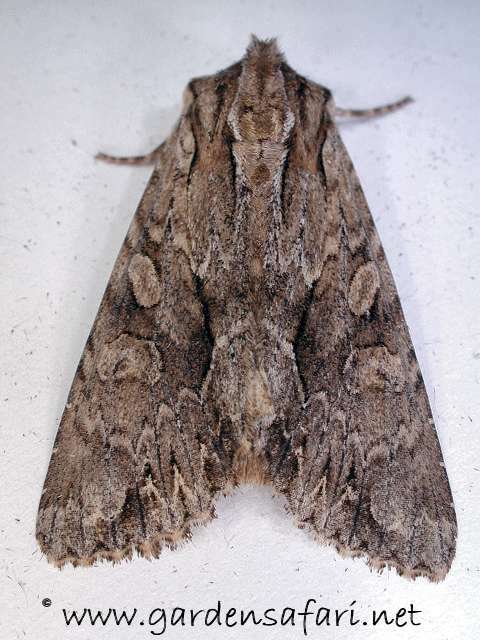 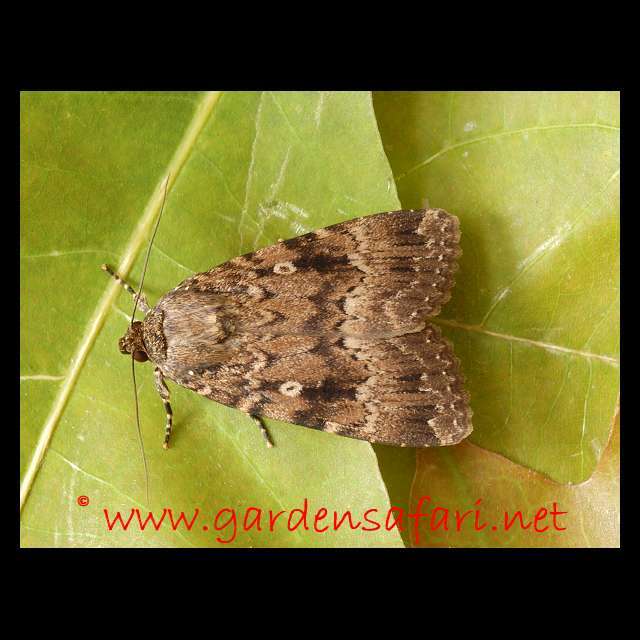 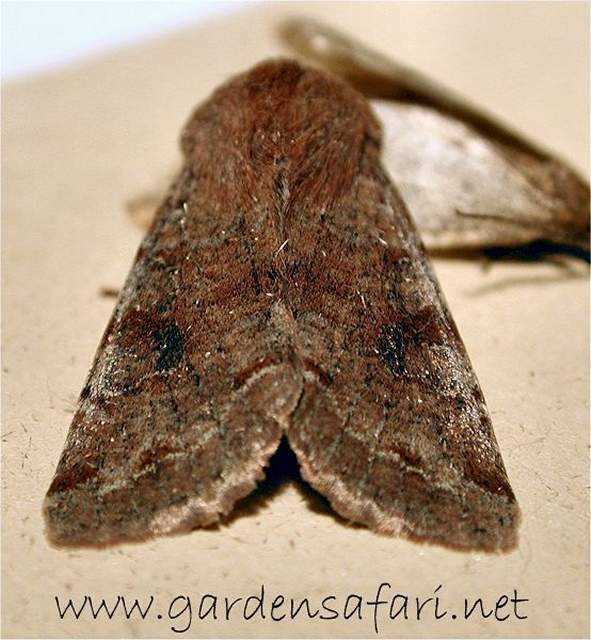 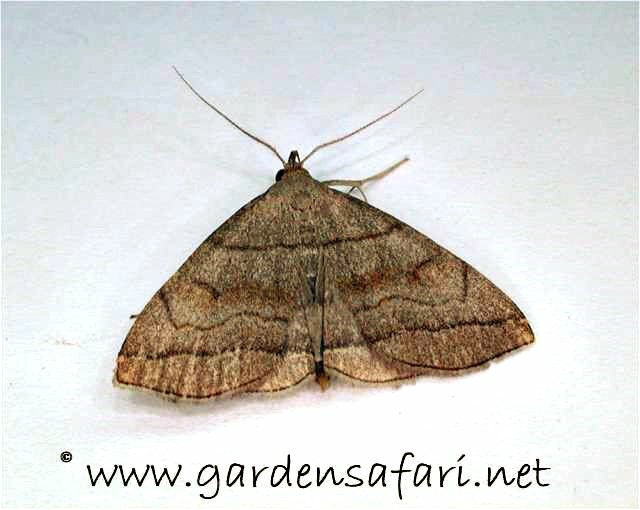 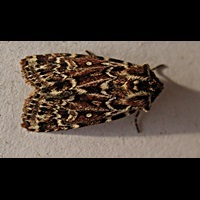 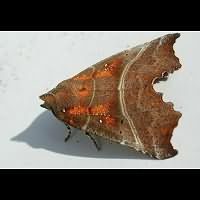 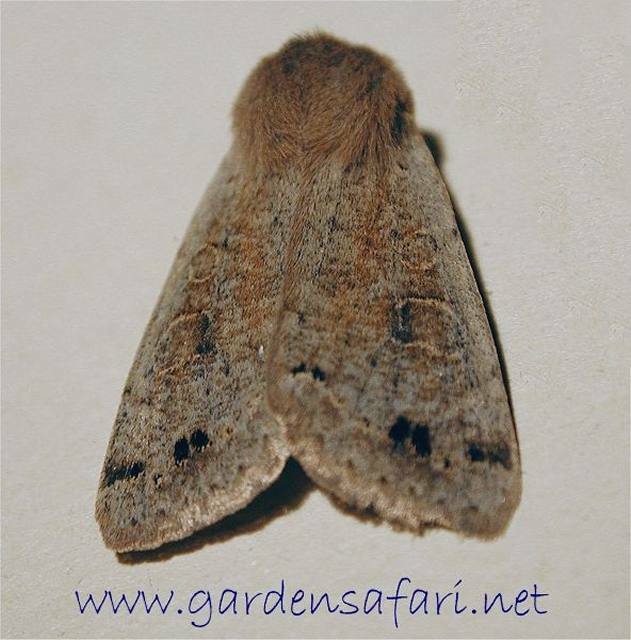 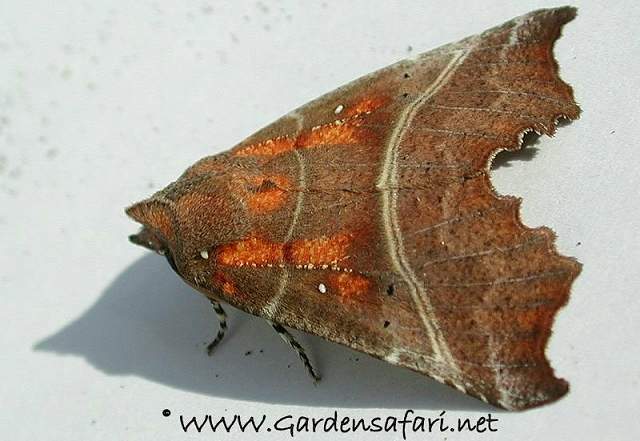 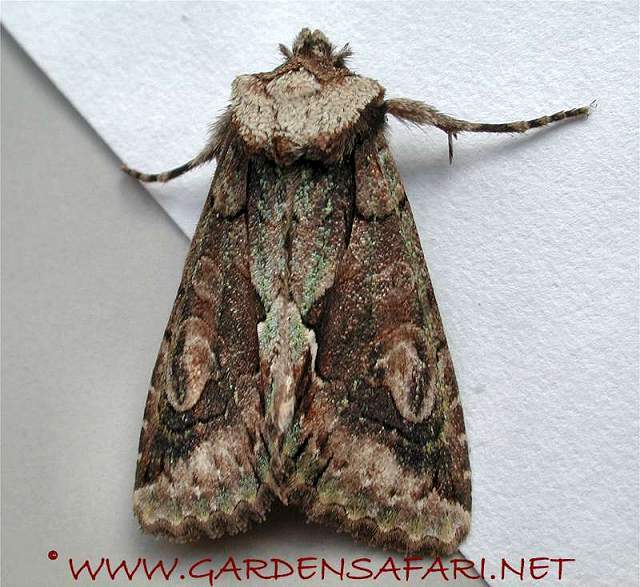 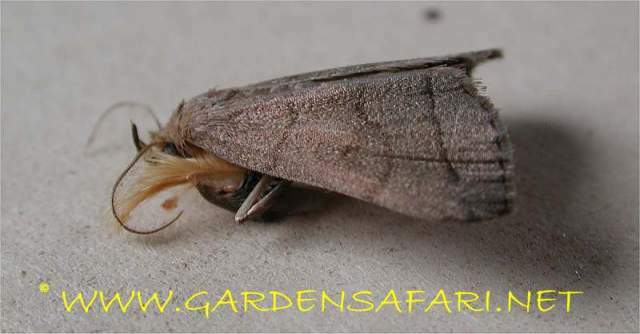 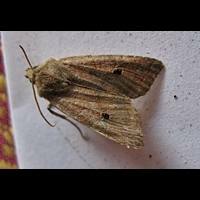 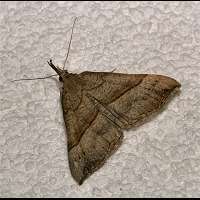 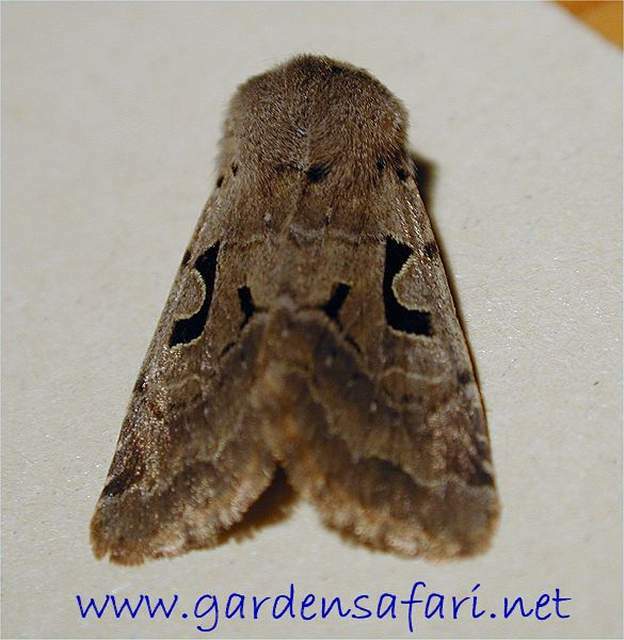 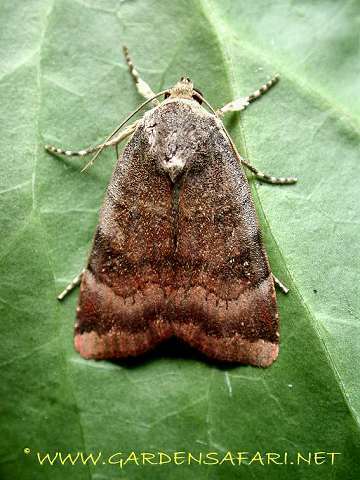 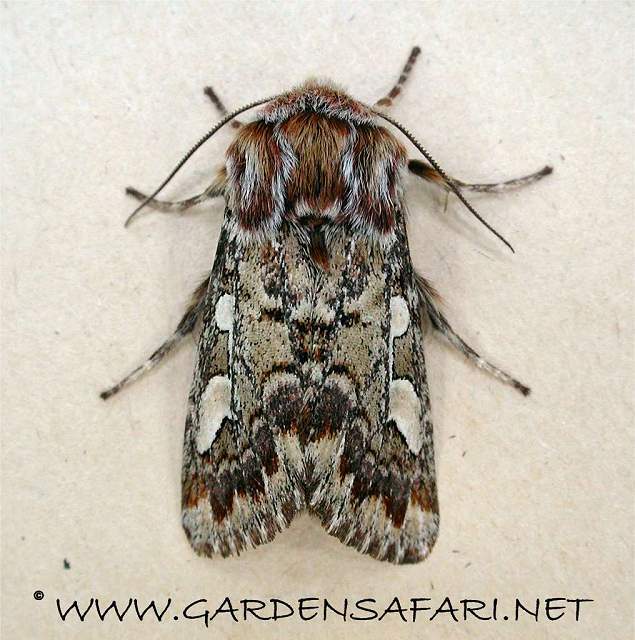 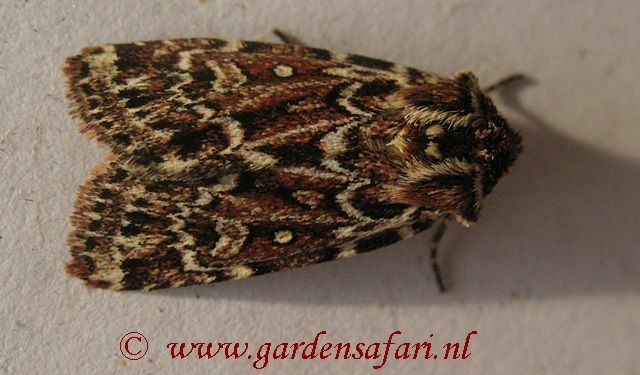 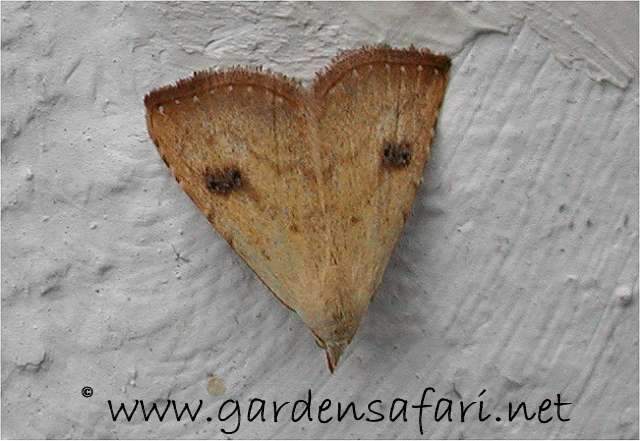 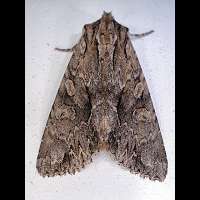 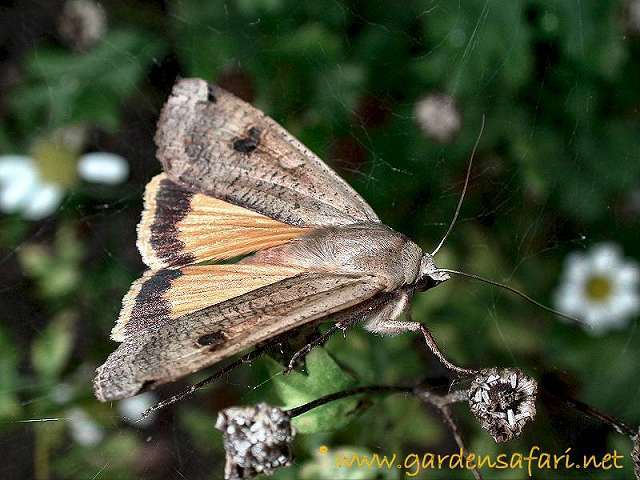 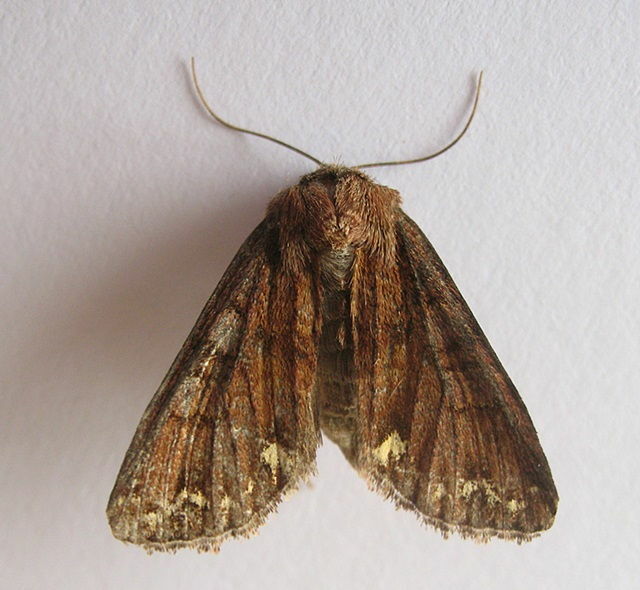 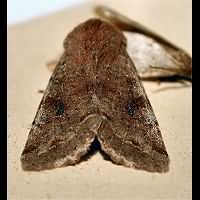 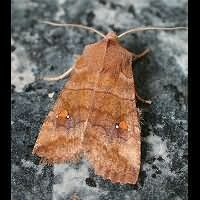 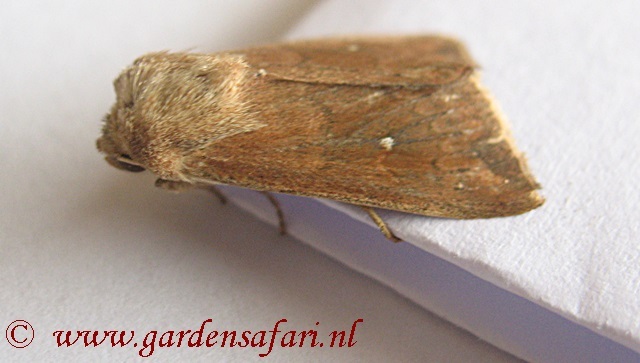 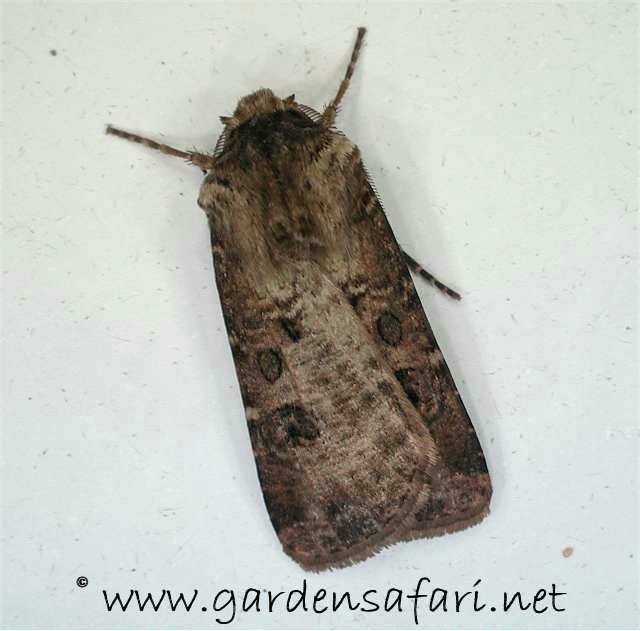 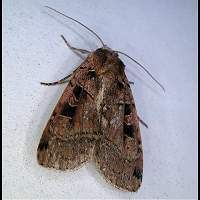 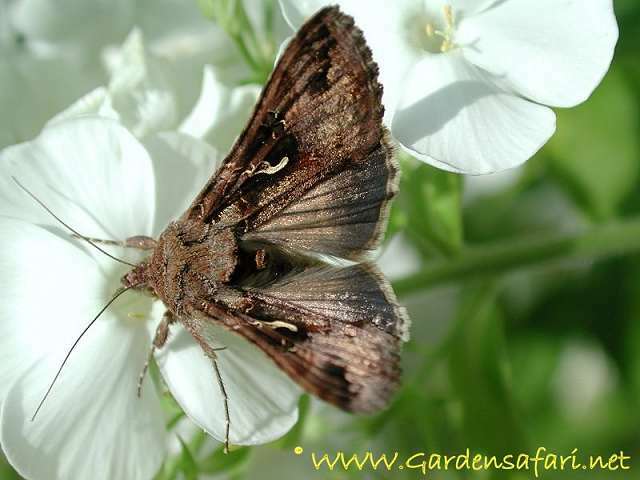 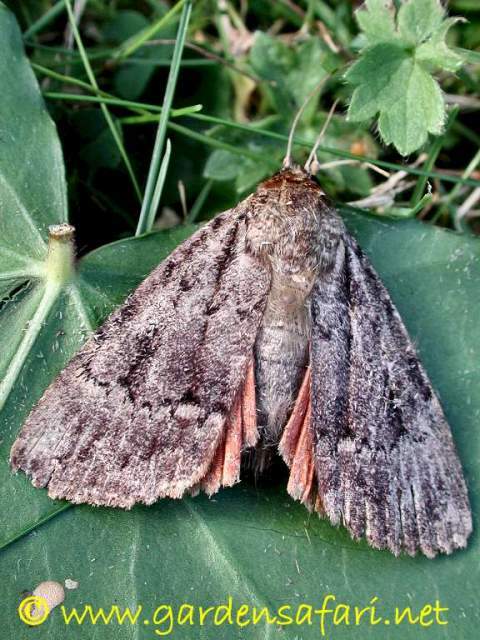 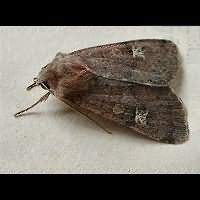 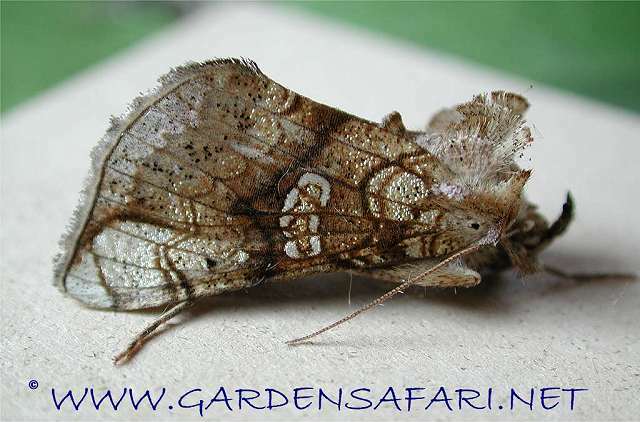 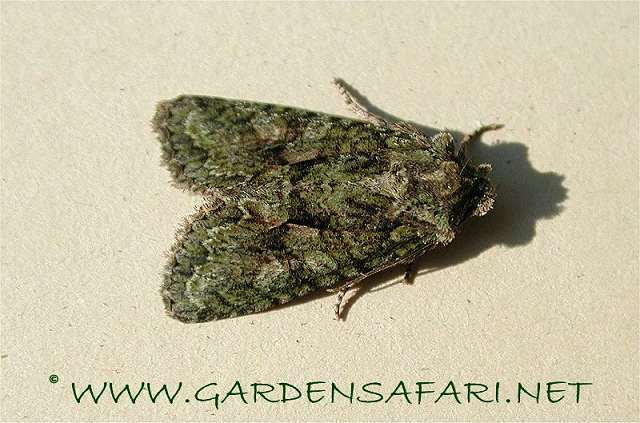 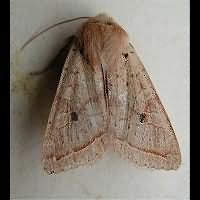 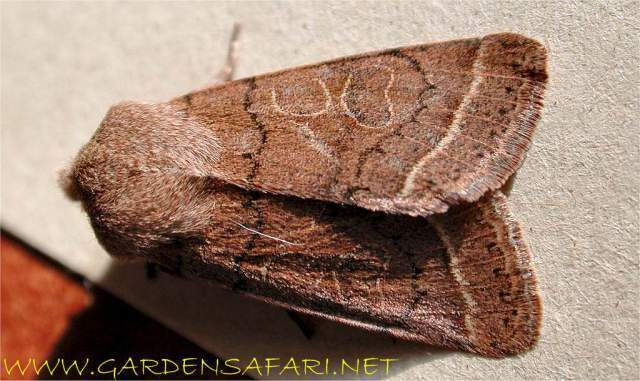 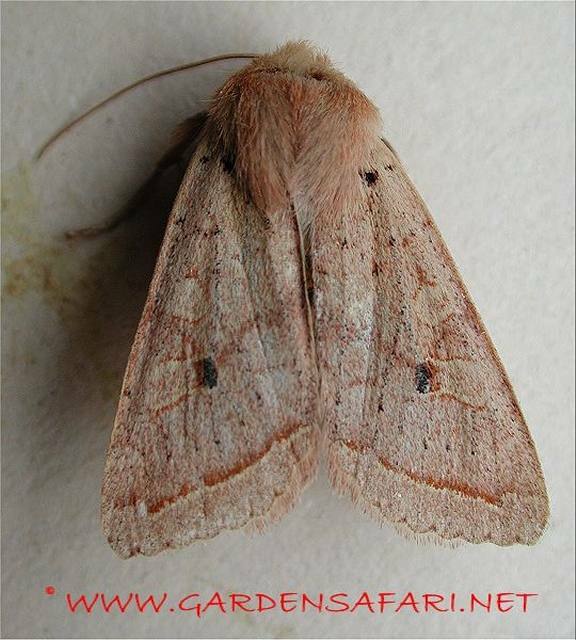 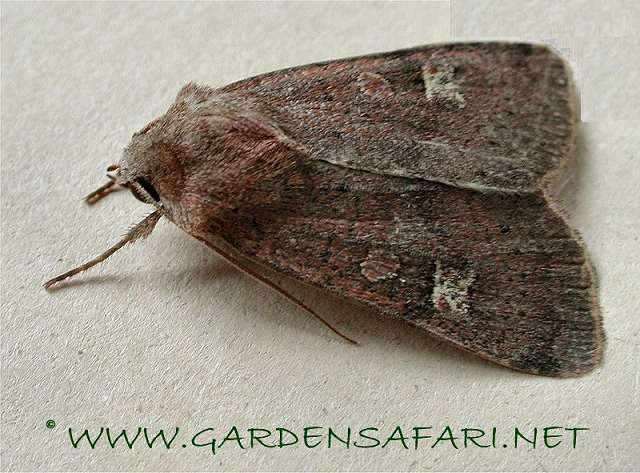 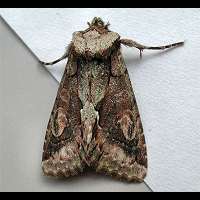 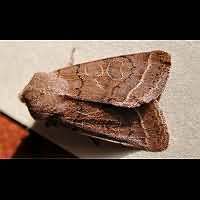 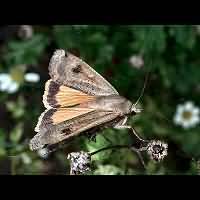 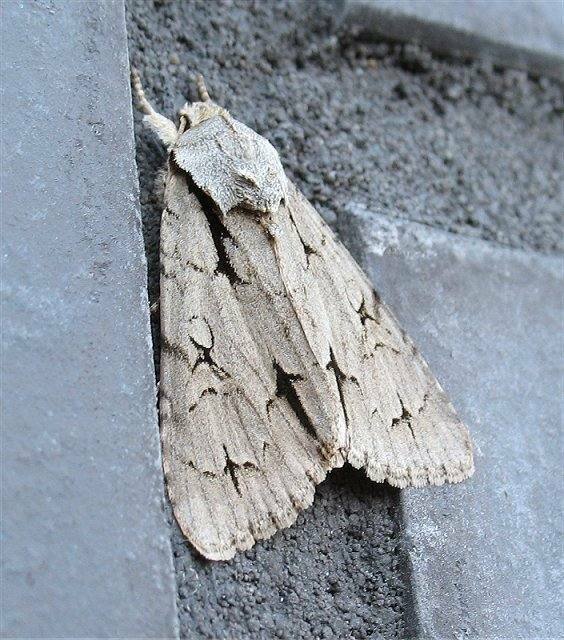 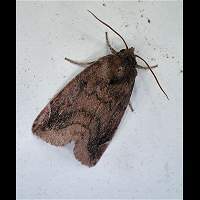 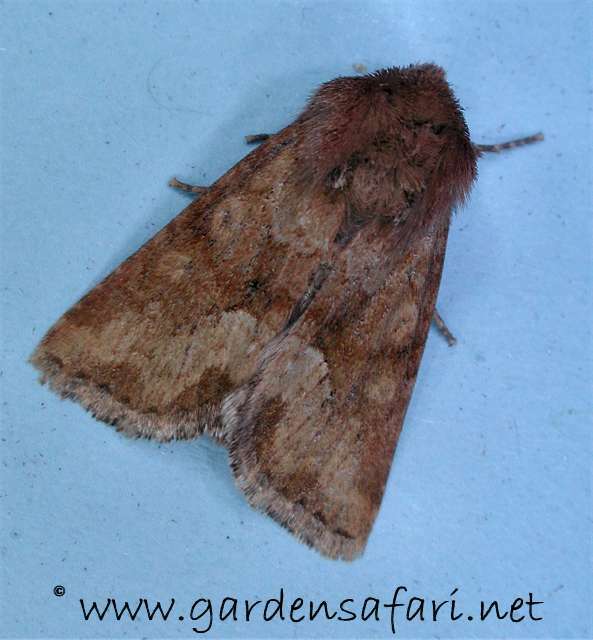 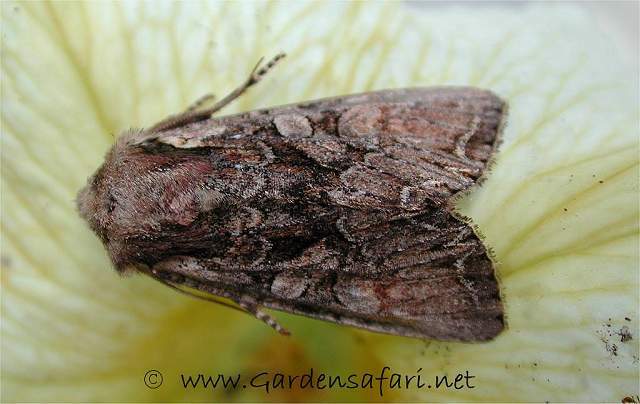 Most species are robust moths with long usually brownish wings, which have given them the common name of Owlet Moths. 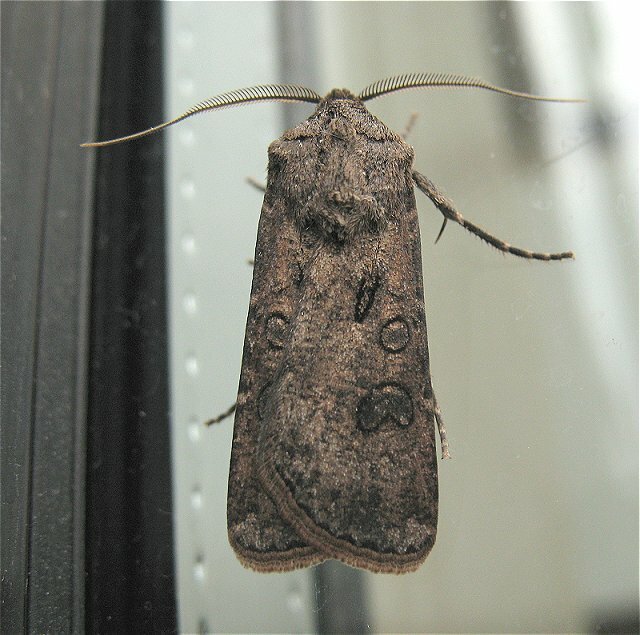 The wings are quite narrow, though. 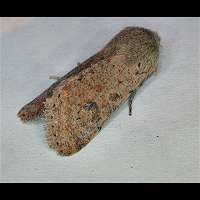 Some owlets have a different appearance, such as the Fan-feet and the Snouts. 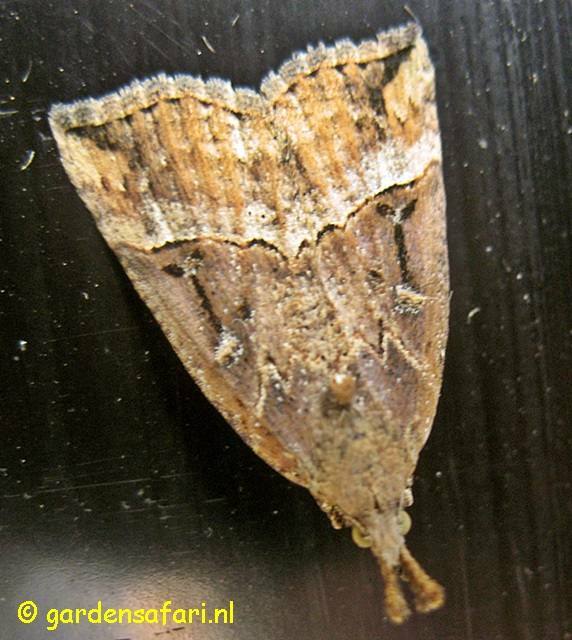 These do look like a crossing between Geometer Moths and Grassmoths. 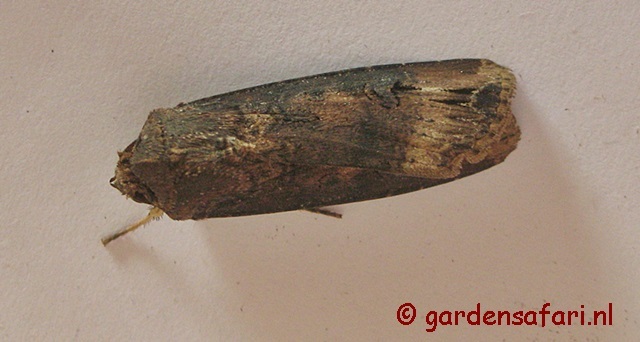 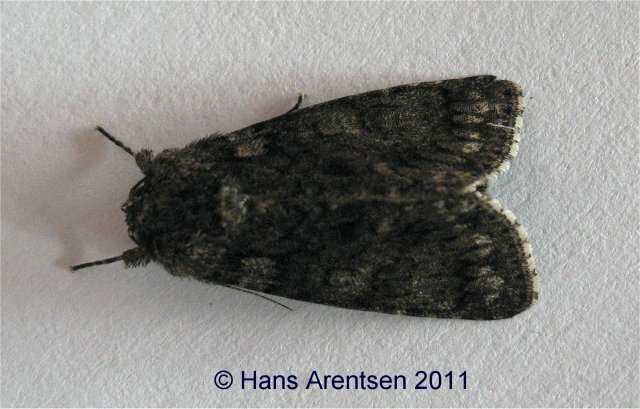 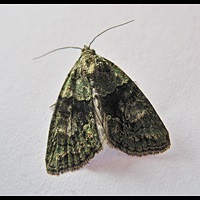 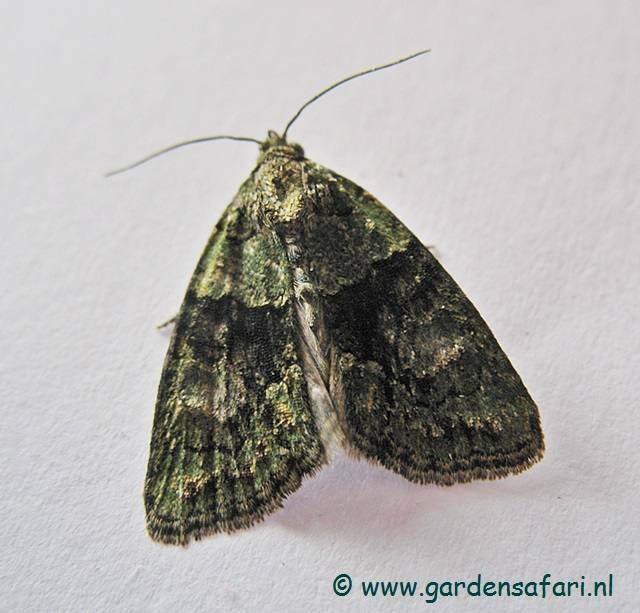 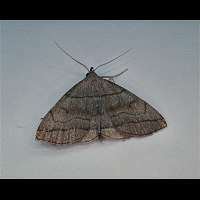 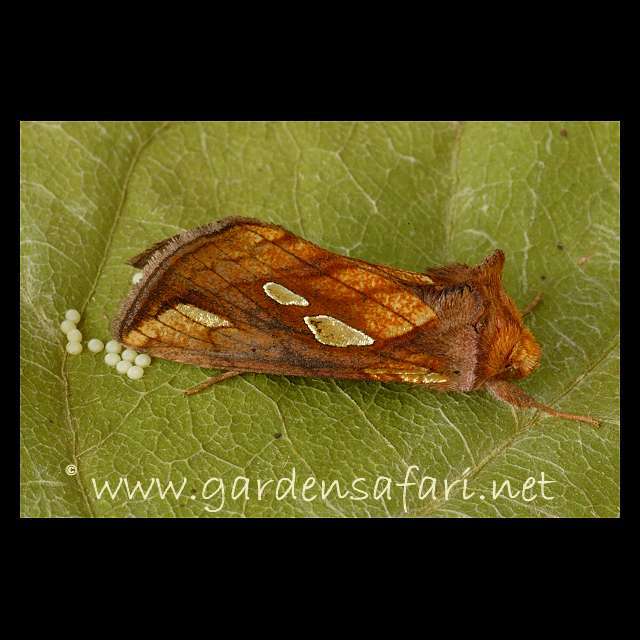 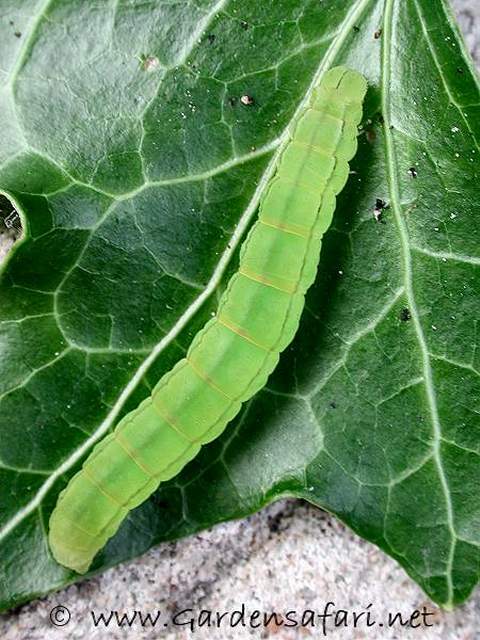 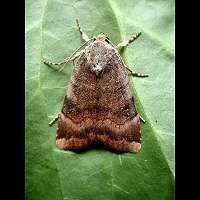 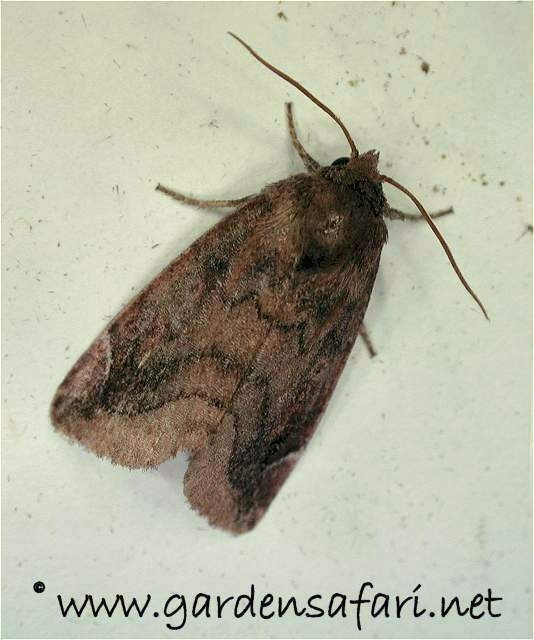 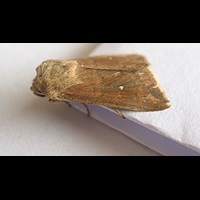 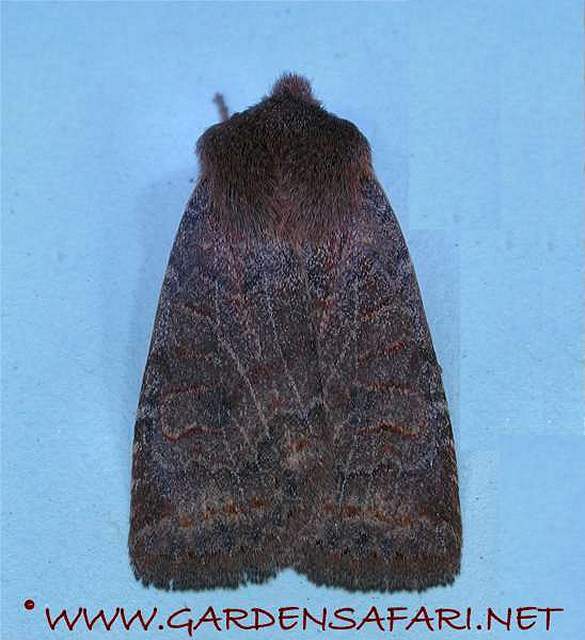 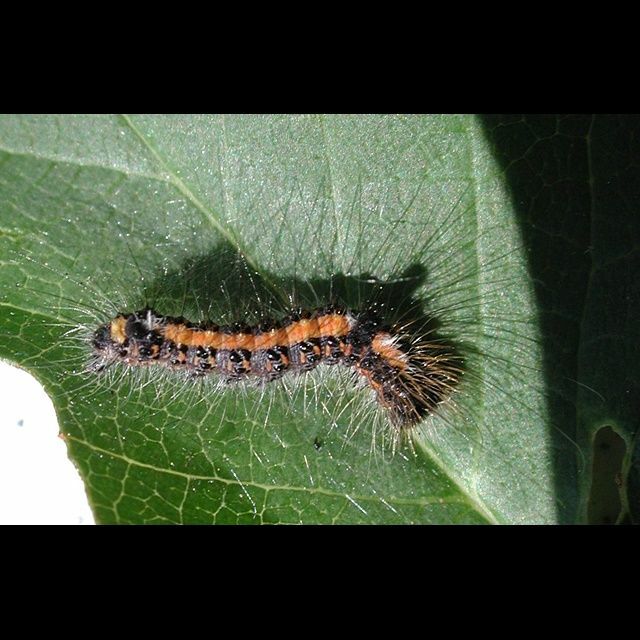 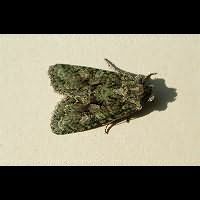 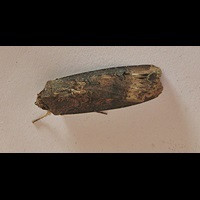 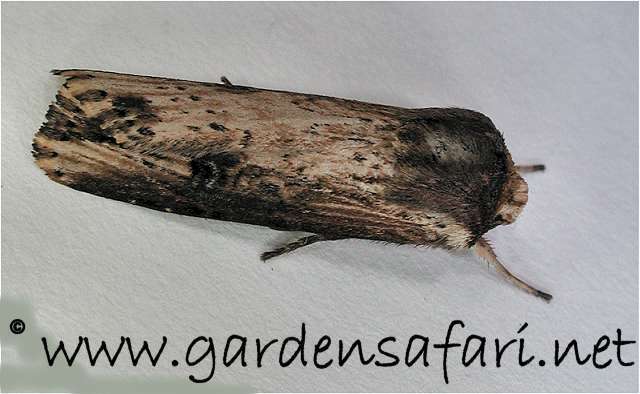 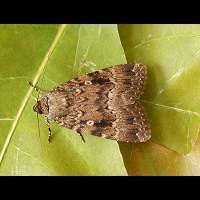 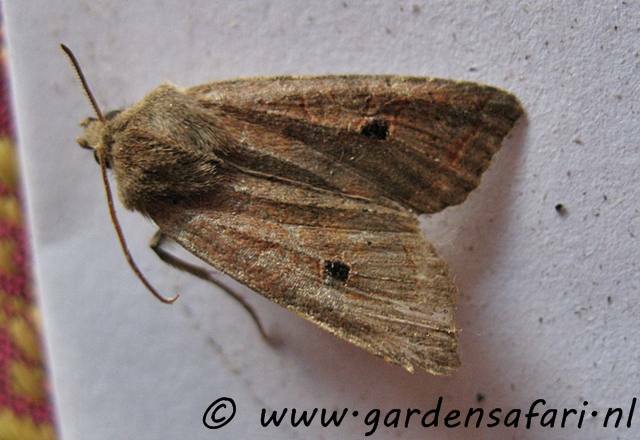 Minors and Rustics are extremely small and are often mistaken for micro moths, especially Pyralids. 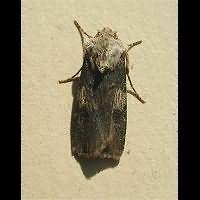 There are only very few Noctuids active during the day; most fly by night exclusively. 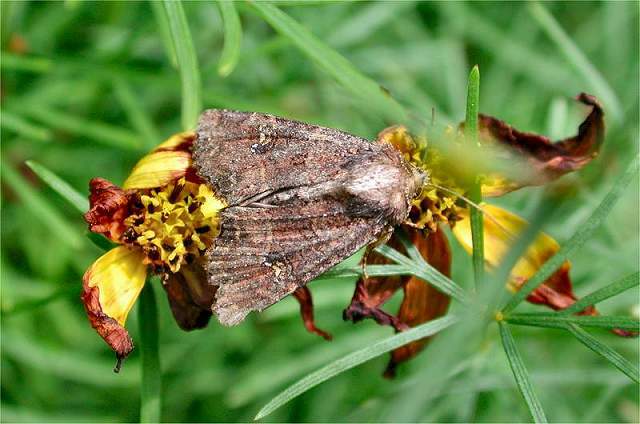 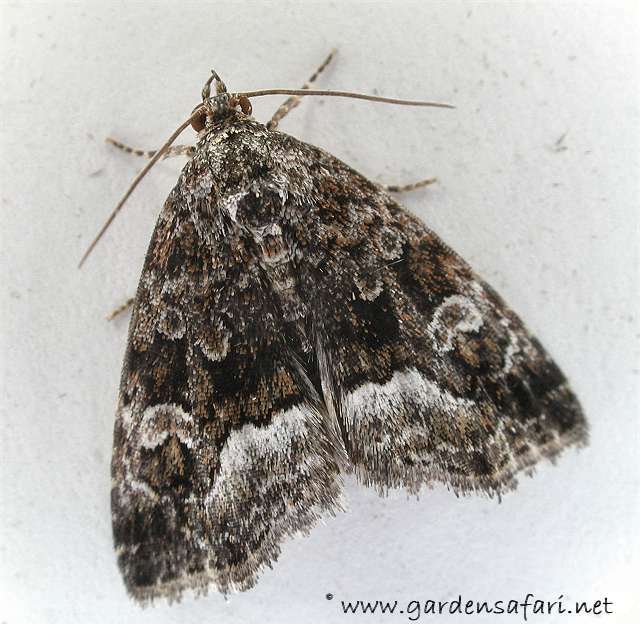 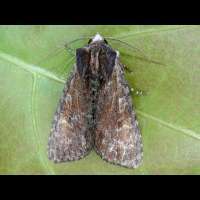 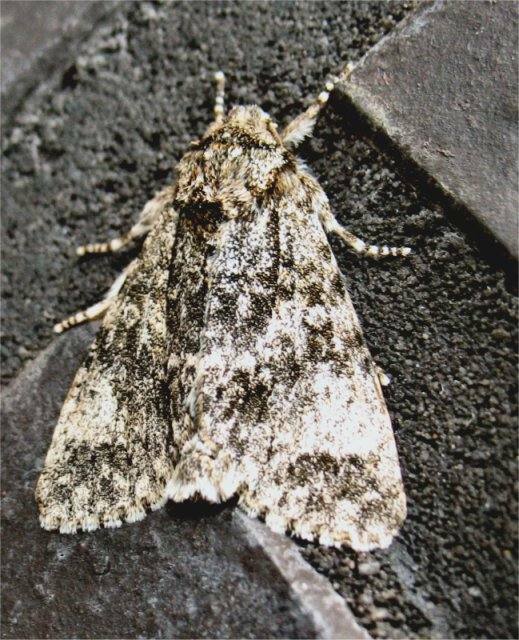 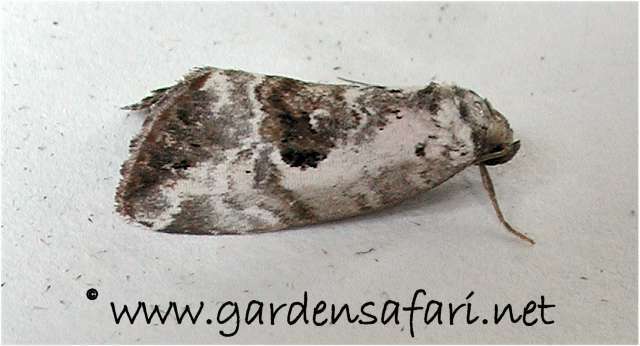 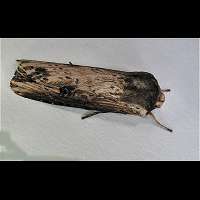 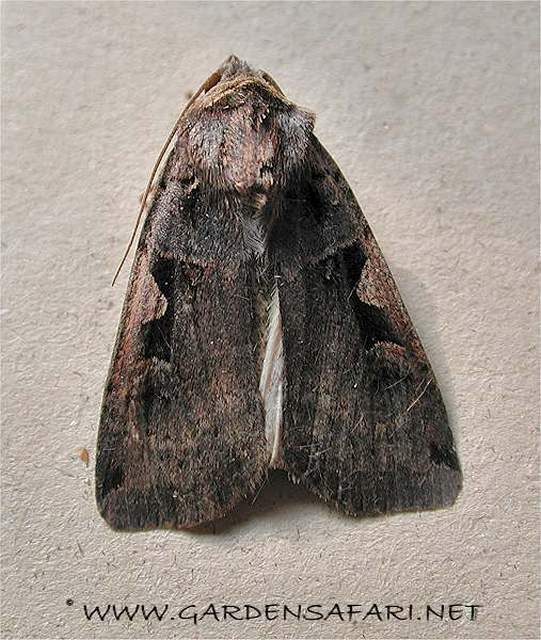 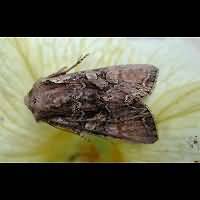 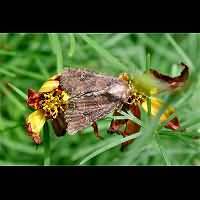 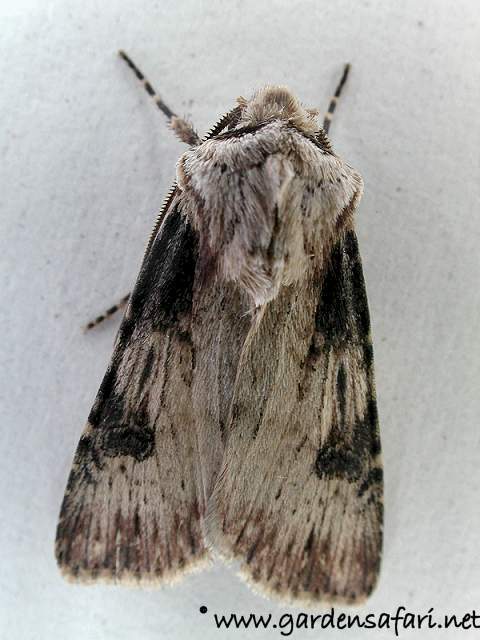 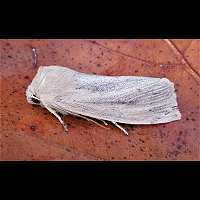 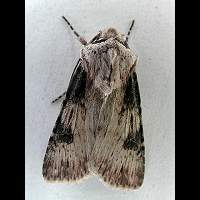 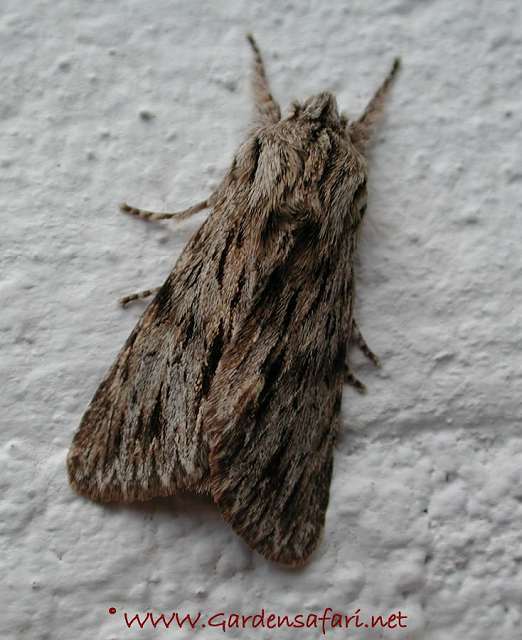 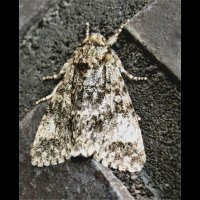 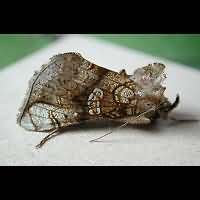 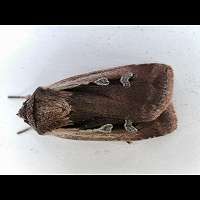 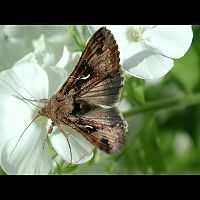 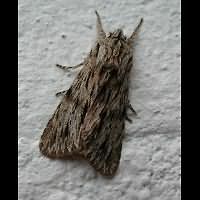 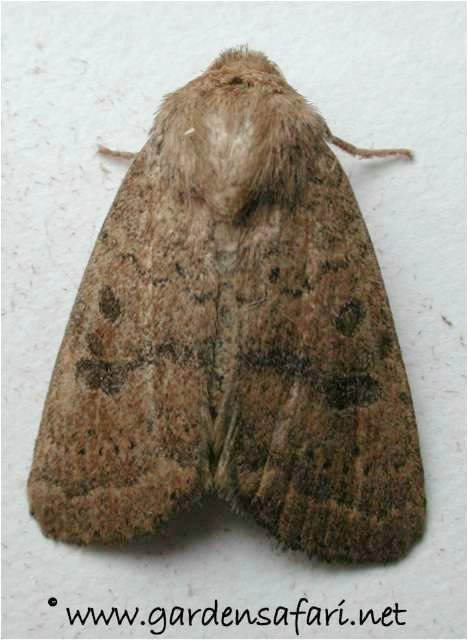 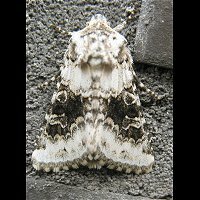 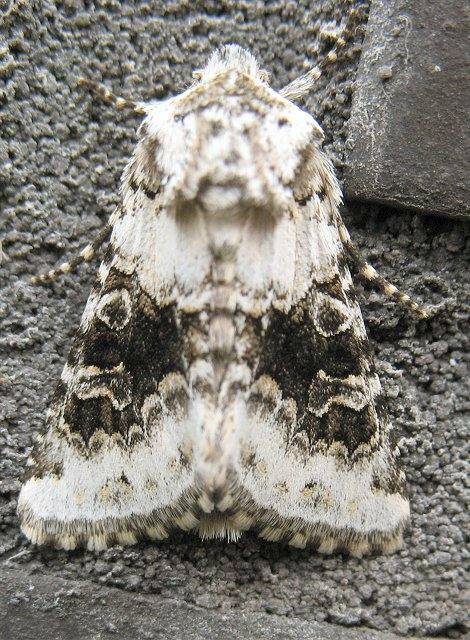 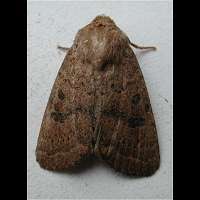 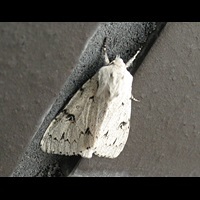 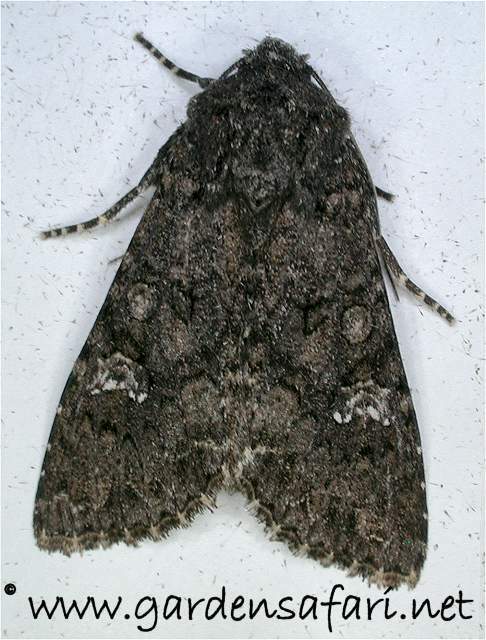 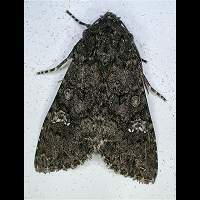 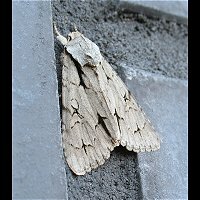 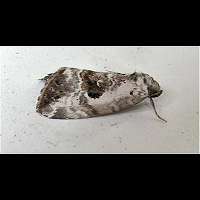 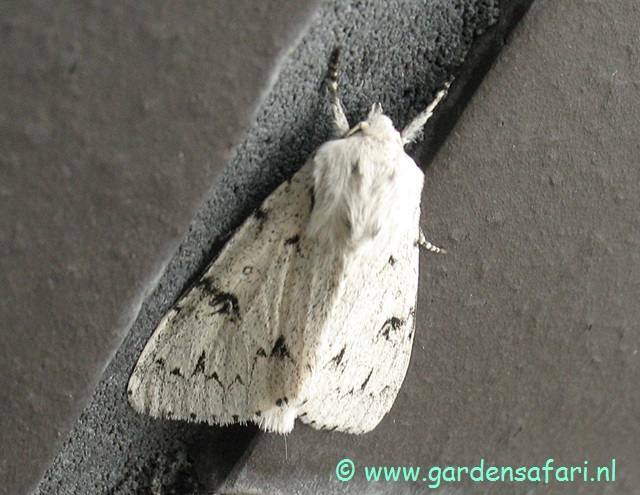 But the moth most seen during daytime all over the country is an Owlet Moth: the Silver Y. 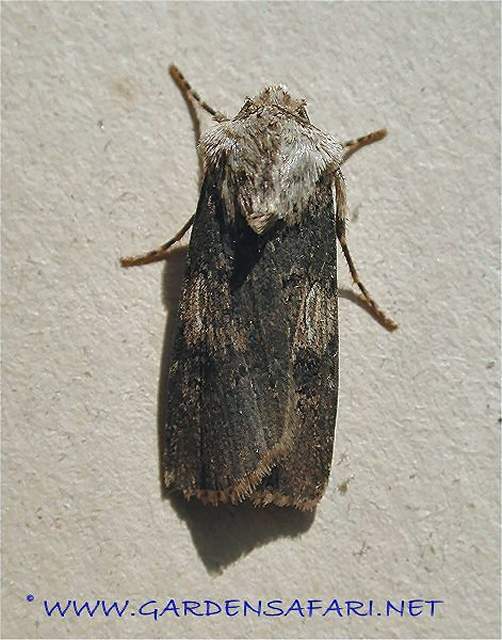 Some Minors also fly in sunshine. 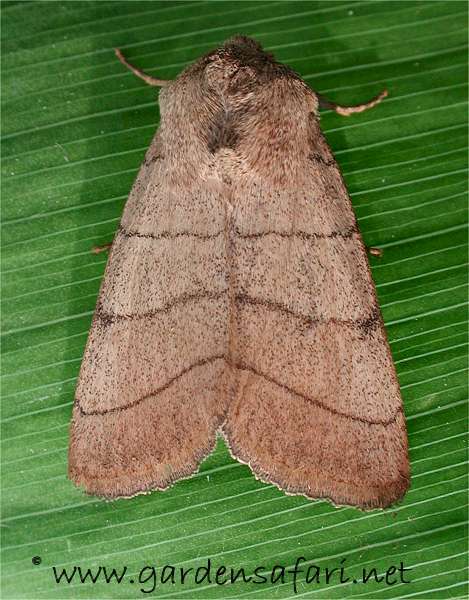 Noctuids are good flyers. 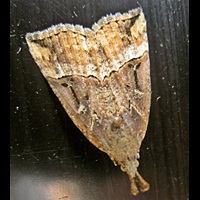 Contrary to the Geometer Moths, even though these have much larger wings. 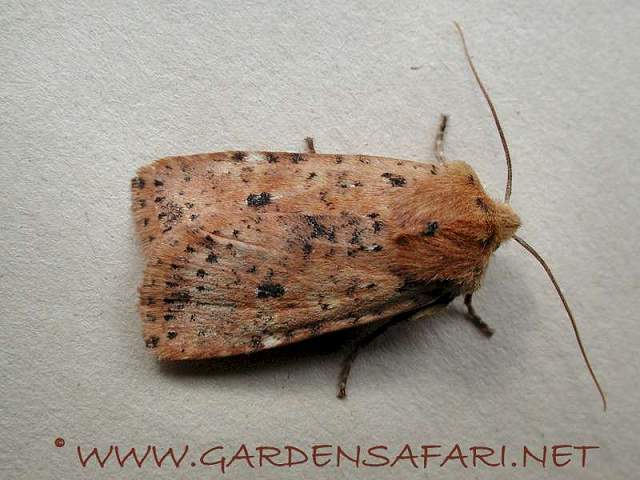 Among the Noctuids are quite some migrant species, travelling thousands of miles each year. 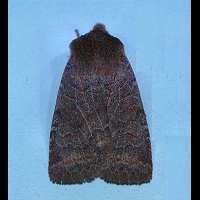 In order to identify Noctuids two spots on the wings are very important: the bean-shaped kidney spot and the circular spot nearby. 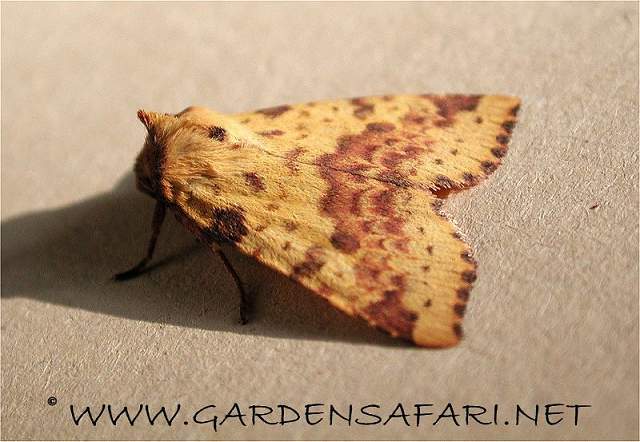 By studying these spots carefully it is sometimes possible to tell apart two very similar species. 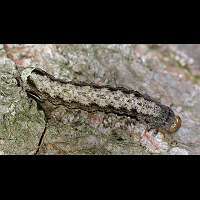 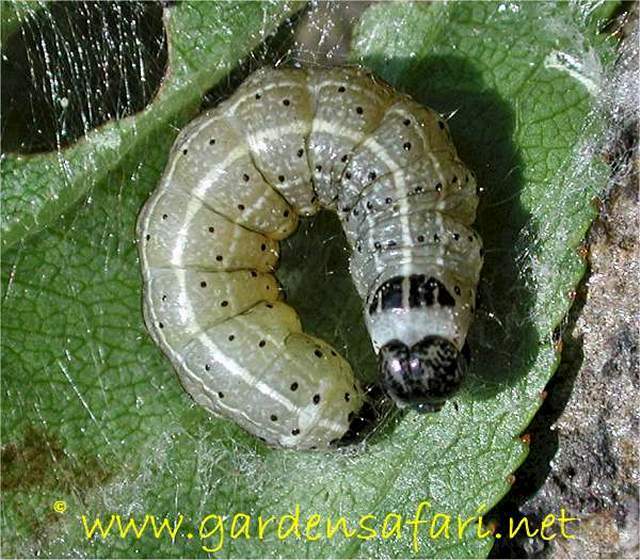 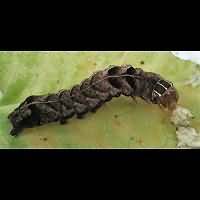 Most Noctuids pupate in or close near the ground in a cocoon. 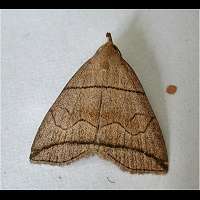 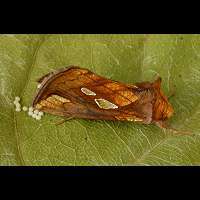 Usually Owlet Moths overwinter being either egg or pupa. 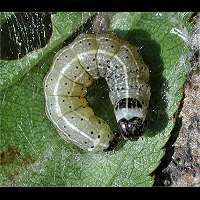 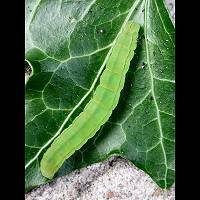 Some species overwinter in the larval stage, though. 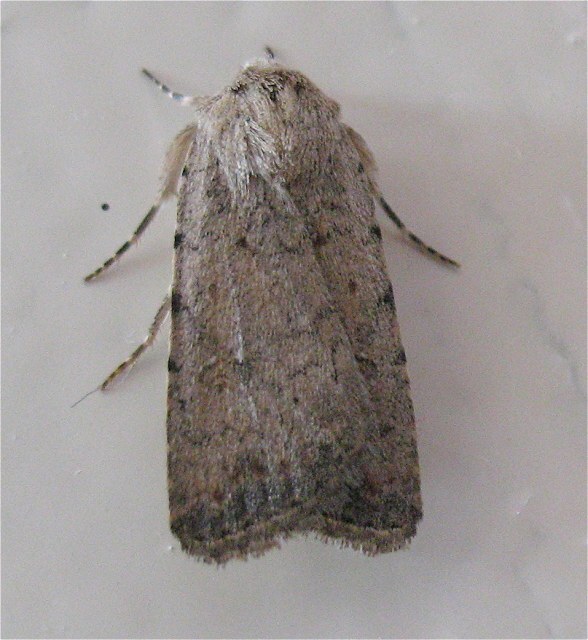 Only very few species overwinter being adult. 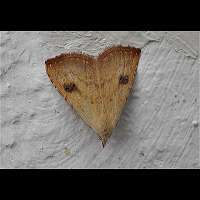 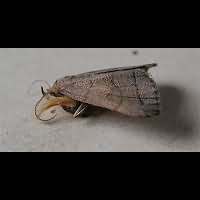 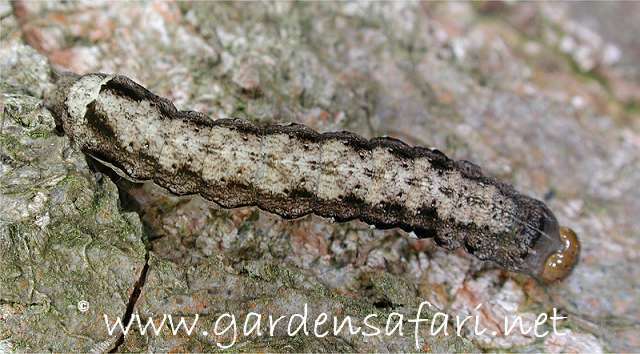 The Owlet Moths are split up in various subfamilies scientifically. 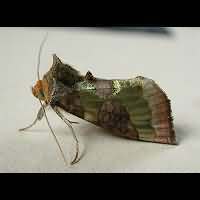 But it is rather confusing, changes often and doesn't mean much to the amateur. 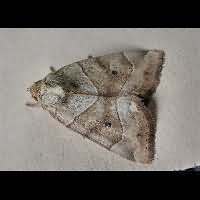 So we haven't even tried that on this site. 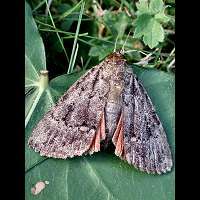 This page has last been modified on Friday, October 19, 2018.